Valentines Day: a day for the exchange of tokens of affection. 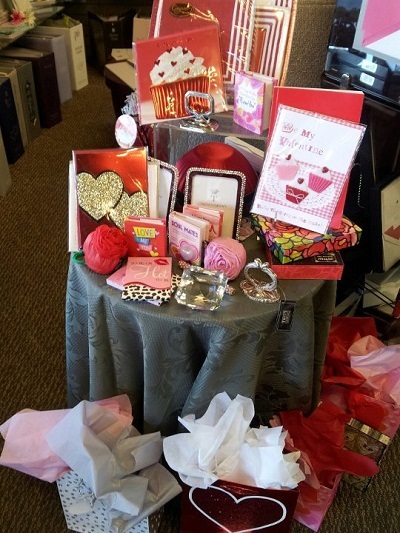 Valentines Day is one of our most popular holidays, inspiring a flurry of card and gift giving to those we love. When did this holiday come about? Some say the holiday originated from the legend of St. Valentine, the patron saint of lovers, some say Eros, the greek god of love and desire..what do you say? Today the spirit of Love and Desire still continues on in young and old! And for those who haven't, when you least expect it cupid might shoot his arrow your way! 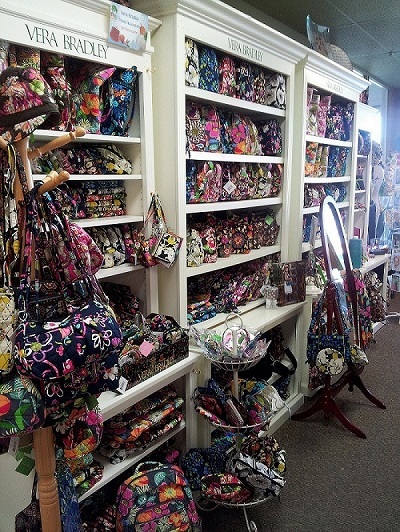 Vera's new Spring 2013 line is in! Beautiful fun new colors, styles and patterns that are stylish and functional. Here are some of the new patterns; Jazzy Blooms, Plum Crazy, Midnight Blues, and Go Wild. Also, January 17-21 receive 50% Off your choice of Medium cosmetic, Tech Case or Brush & Pencil with a Vera Bradley purchase of $50 or more. Available in a variety of colors, including current colors and four spring colors. New arrivals! 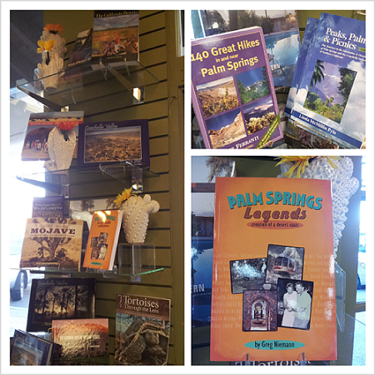 Come by and check out our new books about the Coachella Valley; Art, Resorts,Legends, and Great Hikes! Looking forward to a new fabulous 2013 season here at The Village Inscriber! As always we will have outstanding stationary,invitations and elegant and unique gifts! Our new year resolution is to continue to provide you with excellent service. What are some of your new year resolutions for 2013? This summer we are offering some great "Hot Summer Specials". For our customers who stay in the desert in the summer, hot can mean a couple things. Like over 110 degrees hot. However, we hope our customers who are here or away for the summer will find some interesting and good deals through our "Hot Summer Specials". For those away this summer we will gladly ship anything to you. Last month we had a special for Mothers Day. 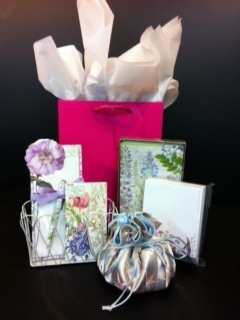 Actually it is not too late to get a great gift package of paper and pen, notes, paper block, sticky notes and jewelry pouch all in a gift bag with tissue. This special is &39.99...a $55.00 value. Now, for our second "Hot Summer Special". Perfect for Fathers, graduates, or anyone you need to get a nice personalized gift. From our Embossed Graphics catalog we are offering memos, tablets, tower pads, or desk slabs for &18.95. This is a $23.95 to $25.95 value. If you aren't in the desert for the summer and can't get to the store, you can call us at 760-568-4206 or e-mail at info@villageinscriber.com. Fun to choose the color and font that is perfect for that special person.